Cluster CS is a SaaS server management tool that offers individuals or companies the possibility of managing their VPS or dedicated servers remotely using its easy-to-use control panel. When we think of starting a website, the very first thing we have to think is about the domain and hosting. The domain is the address of the website, and hosting is the house where you keep the stuff. You need to set up both the domain and hosting to create a website. Hosting plays a very important role because there are many hosting companies in the market out of which a very few are reliable. Reliable in the sense, they keep your data safe, and their uptime is great, and most importantly you don’t get configuration issues frequently. Thus, choosing a hosting company is crucial. As bloggers, some of us use Shared Hosting for our general information websites or blogs because it is quite affordable and well suited for small and medium traffic websites/blogs. Shared hosting is very simple because everything is done there; you just need to upload your website project, and set up the domain. And, your site will be ready. You don’t have to mess with server settings and all. But, when it comes to VPS or Dedicated hosting, you have to be techie enough to setup the server, manage configurations, etc. Personally, I am a shared hosting user, but I did test VPS hosting a lot of time for reviewing some hosting companies, and I must tell you that you should go with VPS if you can handle the technical stuff on your own or have some who can manage it because you are the one who will be given the details of the VPS, and then you have to do all the server settings, install cPanel, software, apps, etc. to your server to prepare an environment which allows to host one or multiple websites there. Since managing VPS can be a tough task for first-time users, there were tools created that help you manage your VPS or Dedicated server remotely using a single control panel. 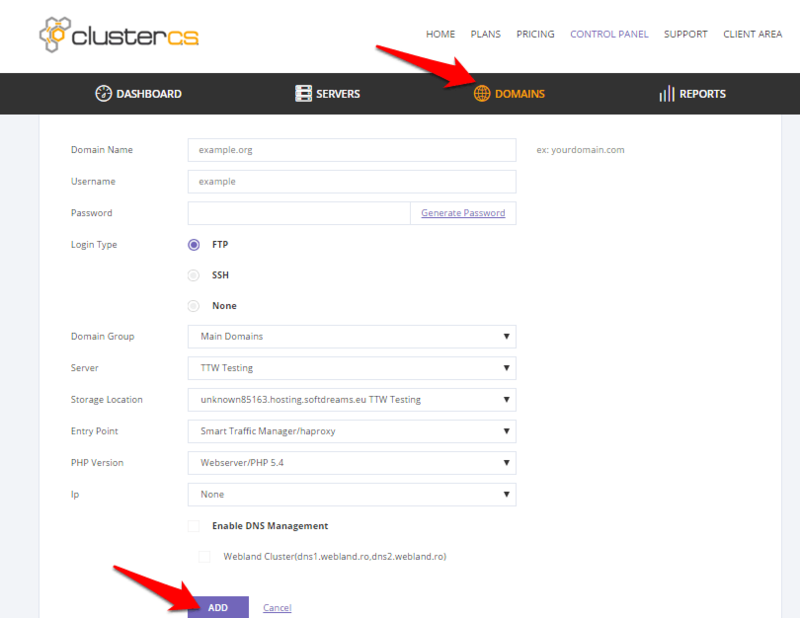 Cluster CS is one these tools that offers an easy to use the control panel to manage your VPS server. No matter which company you bought VPS from, you can use that remotely using Cluster CS. I mentioned earlier in this post that managing VPS is not an easy task for someone who never worked with it. There comes Cluster CS to the rescue which offers a Control Panel that unifies your server, database, domain settings, etc. making your work easier as you can manage everything from a single interface. And, the best thing is you won’t find it tough to set up your server and your domains. In fact, they designed the control panel in a way that users can easily manage their VPS without having much knowledge of it. Even if you don’t know how to work with a VPS, you will do that efficiently with Cluster CS as it makes management easier by offering various tools and options. For example, if you use Shared Hosting, you have cPanel that offers you the possibility of various tasks. Let’s take database as an example. In the cPanel there is an option to create a database. 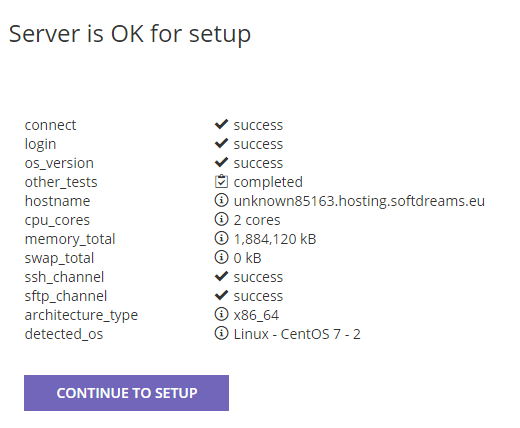 But when you have VPS hosting, you don’t have anything there that would help you create the DB; only you have to install MySQL there to enable creating database. When you use Cluster CS, you don’t need to install anything there as you get the option to create database right in the panel. Also, they offer the possibility of managing that database with PhpMyAdmin which is available directly from the same interface. So, don’t you think Cluster CS reduces a lot of tedious tasks by offering all the options at once place? Cluster CS has many features that will make you fall in love with it, especially if you are one of those guys who finds managing a VPS tough job. 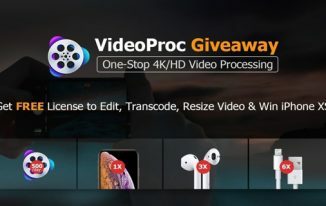 However, one of the best features of it is that it`s easy to use and has beautiful user interface which you will find very easy to work with. The Domain Manager will offer you many tools for you to be able to take care of all your website needs. 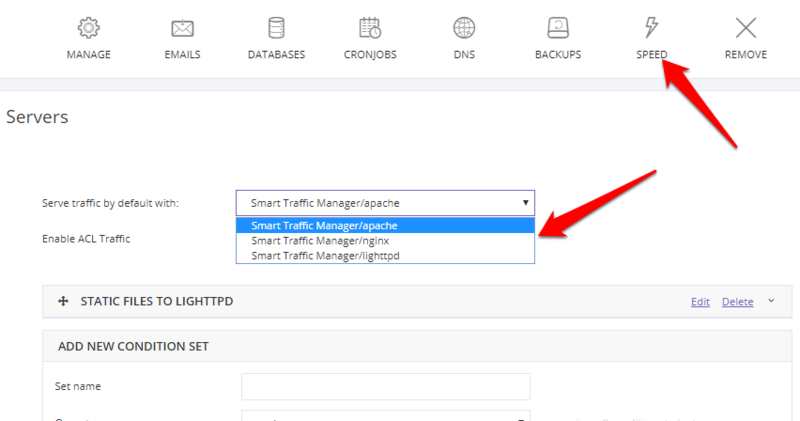 From simple DNS management to Email setup, Database Management, Cronjobs, Automatic Backups and the best of it a Smart Caching Manager which can help you boost your website Speed through a unique NGNIX caching. Once you set up the server with Cluster CS using your server details (Server IP, user, SSH), you can use the details to log into the server via FTP clients such as FileZilla and upload the website files easily. You don’t even have to go to your VPS hosting to handle so many things and then upload. Once you click on manage, you will see the details that you can use to login to the server using FTP client, and upload files. You can even create and Manage Database using Cluster CS control panel which is quite easy. 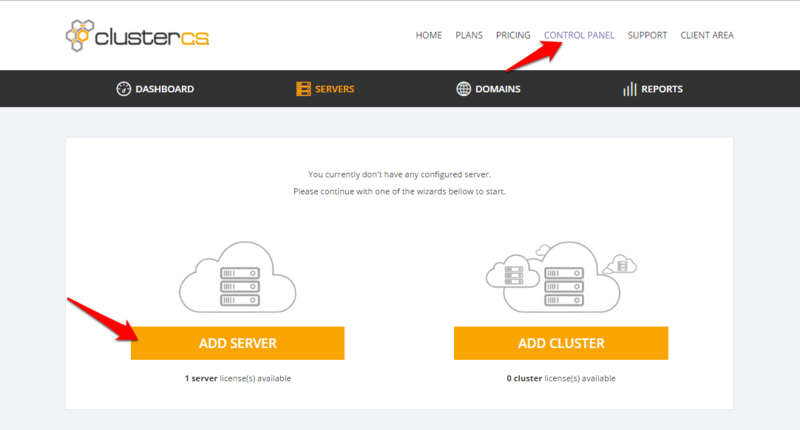 Just in a few clicks, you can create a database on your VPS server just from the Cluster CS interface. Creating a Database using Cluster CS panel is similar to the method used by Cpanel, only easier. As you can see in the above screenshot, there is an option given to Add Database. Just click Add Database, fill the details, and the database will be created. Once the DB is created, you can create a Database User, and connect them in just a few clicks. The best thing here is that you don’t need to go to your VPS hosting panel to create the DB which you may find a bit tough because you must do a lot of things to set up the environment first, and then create it. But when you use Cluster CS to manage your VPS, you can create DB in just a few clicks. Note: If you have ever created Database in your Shared Hosting using cPanel, you won`t find adding a database here in Cluster CS as tough. One of the key features offered by Cluster CS is a feature called SPEED which enables you to speed up your website. It gives an option to split traffic using three different webservers such as Apache, NGNIX, and Lighttpd. Cron Jobs are mainly used for time-based scheduling task such as taking the backup once in a week or every day or once in a month. Similarly, you can schedule other tasks using Cron Jobs. Some other good features available this server management tool’s dashboard as well such as DNS settings for Domains, taking backup of the data on the server, creating emails on the respective domains, etc. How to Add the VPS Server to Cluster CS? I have been mentioning throughout this review that using Cluster CS is so easy that even the first timers can use it efficiently. Adding the VPS server is the very first step of starting with Cluster CS. When you buy a VPS, you get an IP address, username, and password that you can use to login via an FTP client to upload files. But, here we need to add the VPS to our Cluster CS control panel so that we can handle it from its dashboard. This indicates that Cluster CS is checking your VPS details and validating. Once the checking is complete, you will see the confirmation that things are OK and ready to move further. You can use any name in Setup Name. Choose the Recipe, and click SAVE. You will see a pop saying configuration is saved. 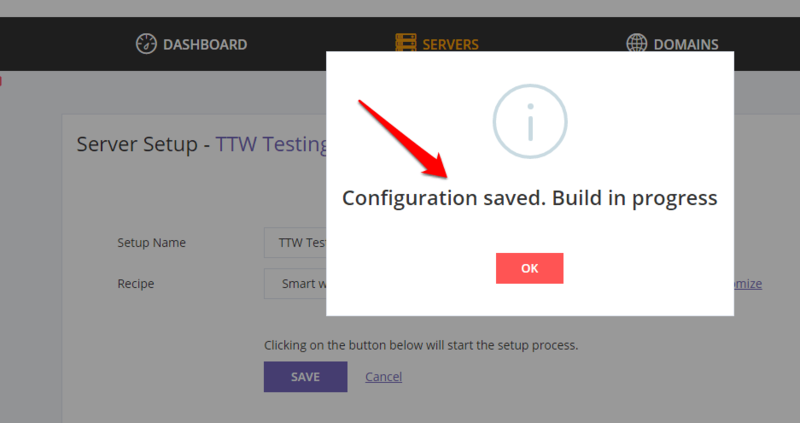 Step 5=> Now click on Control Panel, and you will see the configured server there. You can click Manage to use it. Note: if you have multiple servers in your Cluster CS panel, then while adding the domain, make sure that you select the server which you want to use for that particular domain. 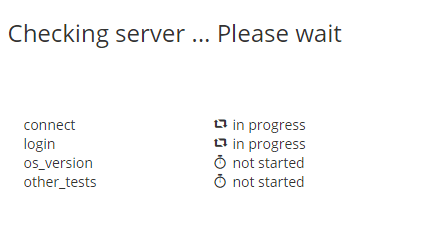 Once everything is done, click OK, and the domain will be added. When you click the domain you will see the tools associated with it to manage everything. 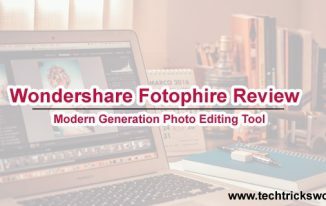 (I have explained about these tools earlier in this review). Note: Cluster CS works only with Linux Servers running CentOS 6/7, RHEL 6/7 and Amazon AMI. As you can see how Cluster CS makes your work easier by managing everything of your VPS from one control panel which is too easy to use. I would highly recommend Cluster CS if you are working with one or multiple VPS. You can check out their Plans and Pricing to decide the best plan for you. What To Expect From This Year’s WWDC? How to Reset Windows 10 Password Without OS Disk? Does it supports digital ocean? And do they provide SSL? Hello, the SSL option is ON. It`s called One Click Let`s Encrypt and basically offers you an automated certificate for your website, for free, without you needing the knowledge to even do it. All in few clicks. Sorry Luliana, in the last reply I mistyped “not”. Corrected now! Very cool review of this dashboard. I love anything that makes living easier and this is great because I agree that managing VPS is not an easy task for the one who is new to it. ClusterCS seems great to manage it. Thank you so much for introducing this with us on this platform. Thanks for coming by. Have a good day. 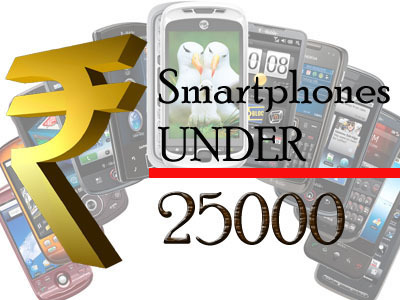 Simple, Fast and Easy.. Best of all is their support and quick customization as per individual’s needs. Hi Atish, This is a new kind of software to manage your VPS but being a Linux guy I think I can handle all my linux related work easily without investing in cluster CS. BUT if you do not know how to manage a linux server than this is one of the best service, I have seen in recent times. 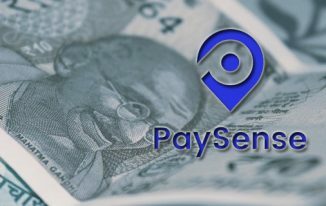 Keep posting such wonderful articles for the community.